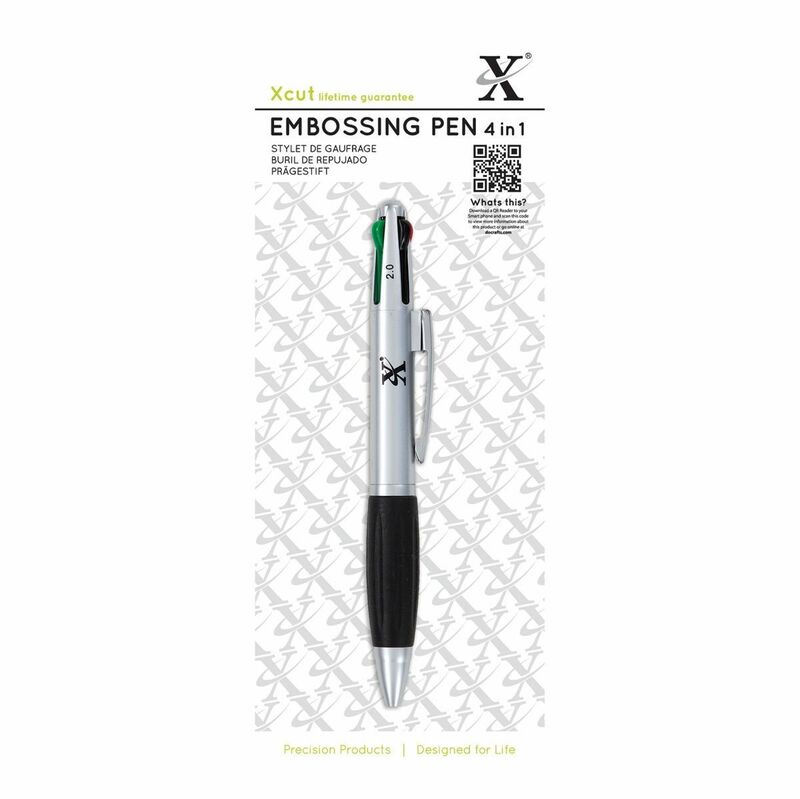 This 4 in 1 embossing pen is brought to you from Xcut. 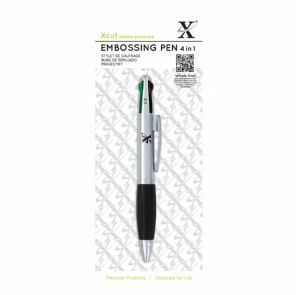 It has 3 colour coded retractable embossing nibs: Blue 1mm, Green 1.5mm and Black 2mm, the forth nib is a pricking tool. Perfect for embossing in small places when using a stencil.